These Palm Beach Gardens homes have just come on the market! Palm Beach Gardens FL real estate include condos, large and small, single family homes, and town homes. 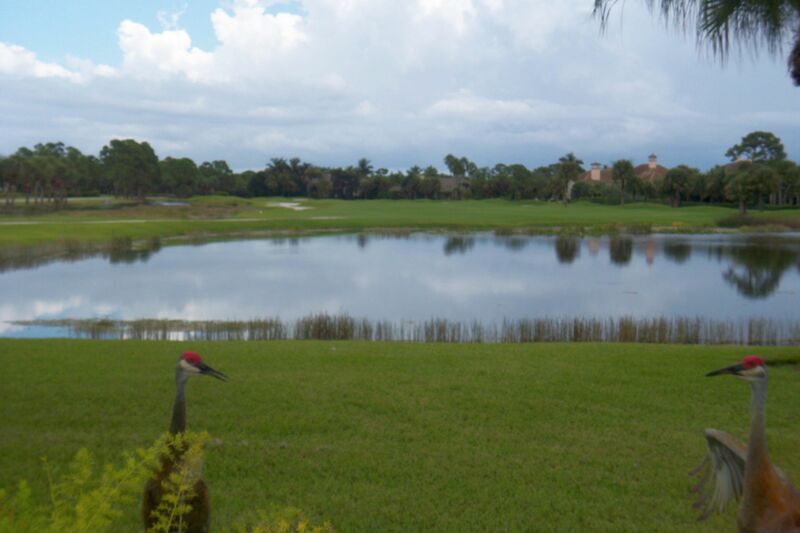 Palm Beach Gardens has many gated communities and homes on golf courses. The City of Palm Beach Gardens remains a premiere community in which to live and work, and will for future generations. The slogan for Palm Beach Gardens is "Growing Together in the Gardens". Today it is home to over 58,000 people and covers over 56 sq. miles. In 1959 a multimillionaire insurance magnate and landowner, announced plans to develop approximately 4,000 acres and provide homes for 55,000 people in a new community which he envisioned as a "garden city". This man was John D. MacArthur. He wanted this new city, Palm Beach Gardens, to be a place to raise a family and earn a living - to realize the American dream. With this in mind, he set to work carving the City of Palm Beach Gardens from empty miles of dairy cattle grazing land. Mr. MacArthur envisioned the city streets lined with trees and flowers. Millions of dollars were wisely invested by MacArthur to create a Florida community with hundreds of waterways, rolling terrain, magnificent mature pine and shade trees, and rich foliage. Churches were the first buildings to be built in the city. He wanted to ensure that the City had a variety of houses of worship to serve residents of all faiths. Palm Beach Gardens is The Robb Report's and NY Times' "It" destination in South Florida and is a magnet for high net worth and celebrity types throughout the world. It has recently taken over its local elementary, middle and high schools and has made them competitive with the top tier schools in the US, which has made it the most desirable relocation city in Palm Beach County as well as the state of Florida. The city is the headquarters for the Professional Golfers' Association of America and bills itself as the "Golf Capital of the World." If you love golf, Palm Beach Gardens is the place to be! The City is home to 15 golf courses. Perhaps the oldest and most famous is PGA National, with five tournament-ready courses designed by Nicklaus, Palmer, the Fazios and Karl Litten. It is home to the PGA of America and the venerable Honda Classic. PGA National has hosted more major championships than any other venue in the country, including the 1983 Ryder Cup Matches, the 1987 PGA Championship and 18 Senior PGA Championships. The Palm Beach Gardens Municipal Golf Course is a challenging test of golf carved out of the beautiful Loxahatchee Nature Preserve. Renovated and upgraded in summer 2006, this Par 72, Roy Case designed course is one of the only golf courses in Florida that winds through natural preserved and wetlands areas. It plays to 6,500 yards through southern pines, palm trees, and marsh land while making defined elevation challenges - giving breathtaking views, quality golf and still being affordable!